Coders, data scientists, project managers, user experience (UX) designers and business development managers are the five most in demand jobs in the world right now, according to a StartupAUS report. The report identified the five key roles as growth multipliers for Australia’s startup ecosystem. Interestingly, four of the five jobs are not ‘deep tech’ and are more 'human-facing' roles. Coders, which includes full stack developers, front-end, back-end, and mobile, is the only ‘deep tech’ role on the list. 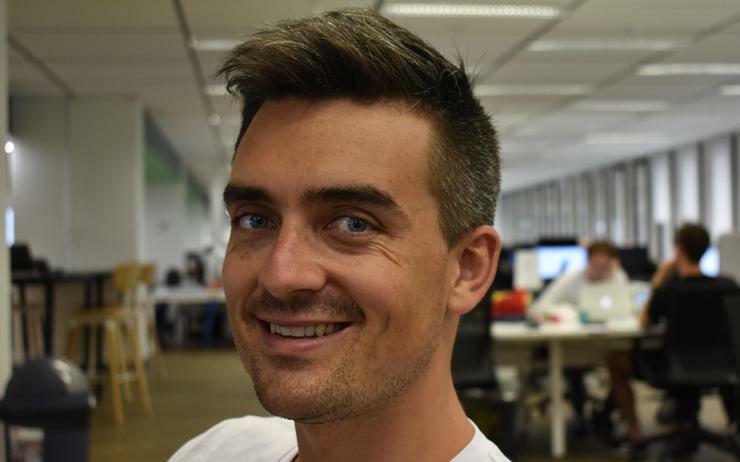 Currently every global tech giant and startup are hunting in all corners of the globe to find these people, who are in high-demand and short-supply, according to StartupAUS COO, Alex Gruszka. He said there are two key ways to inject talent into the startup ecosystem - education and migration - but warned that Australian startups are not just competing with each other, but also battling it out with the world’s most promising young companies and global tech firms. “The Startup Talent Gap report uses a data-driven approach to identify the highly-skilled, high-impact roles that can trigger high-growth in businesses and are proving difficult to fill," Gruszka said. "We analysed what top founders across the country told us they were looking for in their businesses, and cross-referenced that with broader hiring trends visible in aggregated data provided by LInkedIn. "We found that some roles were in universal demand across the globe, while some niche technology roles were in high demand in more advanced ecosystems, but not yet in Australia. The report combined surveys of and in-depth interviews with 23 successful scale-up founders with a custom LinkedIn data set looking at roles and hiring among young Australian tech firms. Results were then measured against hiring patterns from international peers including New Zealand, Canada and Finland, alongside data from countries with top-tier technology ecosystems, including the US, Germany and Israel. The report also revealed that product - the technical position which controls the creation, iteration and development of the core products of the business - is the most pressing focus for scale-ups, featuring as an important role in every category, and dominating overall talent conversations. Given the clear prominence of product in terms of the difficulty of past hires, this is a role that startups prioritise early. Additionally, data science featured strongly as a present and future area of business concern, the report noted. Very early stage startups lack capital for non-core employee roles and have smaller datasets, making data science an expensive luxury. However, as they start to scale, the organisation has both more users and more ability to hire, leading to data analysis as a tempting strategic option. Despite a focus on data science and product management in the conversations with Australian scale-up founders, ‘product manager’ and ‘data scientist’ roles did not feature in Australia’s LinkedIn data results, as it did in the data for the international counterparts, the report added. This indicates that Australia’s ecosystem is not as mature as some of the global comparisons. The scale-up founders focus on the importance of these roles is a lead indicator that demand for data and product roles is set to increase substantially. Despite the focus on newer, startup-specific skills, there is still strong recognition of the value of traditional business roles. Sales and marketing are two of the top three components cited as important for reaching the scale-up phase, the report said. While these roles are not specified as difficult to hire, startup-focused sales and marketing roles are distinct from their counterparts, with the key skills gap centering on technical ability. The data suggests that closing this skills gap could offer significant growth potential for businesses looking to hire in these important roles. “This report brings much needed balance to the discussion around the future of work," said Microsoft managing director, Steven Worrall. "Whilst we acknowledge there is much to be done to help workers in disrupted industries transition into new roles, it is also incredibly important that we shine a light on where those jobs of the future are, and the pathways to getting these exciting and rewarding roles. Google vice-president of photos and communications, Anil Sabharwal, said demand for software engineering expertise has created a highly competitive global market for talent. Read more How much do Aussie tech start-ups pay staff? “Google sees the potential to build on our strong local presence and emerging Australian engineering talent to develop teams here in Australia - but to do that we have to be able to draw on global digital skills," Sabharwal added. "The markets that make that easy will have an edge creating new jobs and attracting the people we need to build the companies of the future." The report said the largest volume of job postings in the Australian cohort were for technical roles, with nine out of the top 15 most advertised positions being for developers, software engineers and UX/UI roles. This was mirrored in the international data which highlights sustained high levels of demand for tech skills globally. It is clear that for those early stage businesses with fewer than 200 employees, a pipeline of STEM talent is critical, the report added. Gruszka said education is the medium-term solution to combat Australia’s skills shortage. “It’s critical to identify these skills gaps and pinpoint the most immediately in-demand jobs in the technology space, so we can generate a local talent pool that is equipped with the skills and expertise that will be valuable to our fastest growing businesses," Gruszka said. "We also need to consider how we can make Australia as attractive and open as possible in the short-term to entice this coveted talent to our shores, considering the race to sign them is globally competitive." Professor Margaret Maile Petty, UTS Executive Director, Innovation and Entrepreneurship said UTS is pairing disciplinary depth with enterprise skills, which is critical for producing the quality graduates the startup ecosystem needs. With 40 per cent of students wanting to create their own ventures, UTS is implementing a number of initiatives to support them. “This includes our recently signed partnership with Fishburners to place students in startup internships - bridging the gap between learning and doing," Petty added. "We have also introduced future-facing degrees centred on solving real life industry problems, like the Bachelor of Transdisciplinary Innovation. "How successfully we overcome the talent gap will depend on how quickly we can adapt our education system. At UTS we know we can’t do this without close collaboration with industry and the startup ecosystem. "We are committed to forging new and innovative partnerships that will allow us to bridge the talent gap – together."